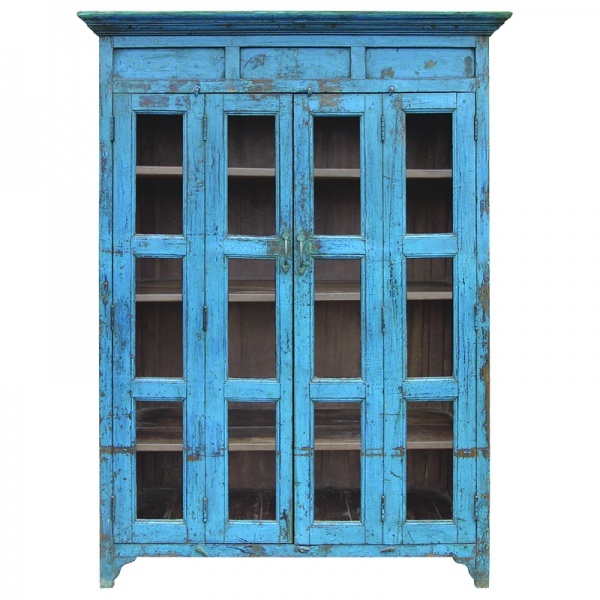 This original vintage cabinet has been sourced from Rajasthan India. 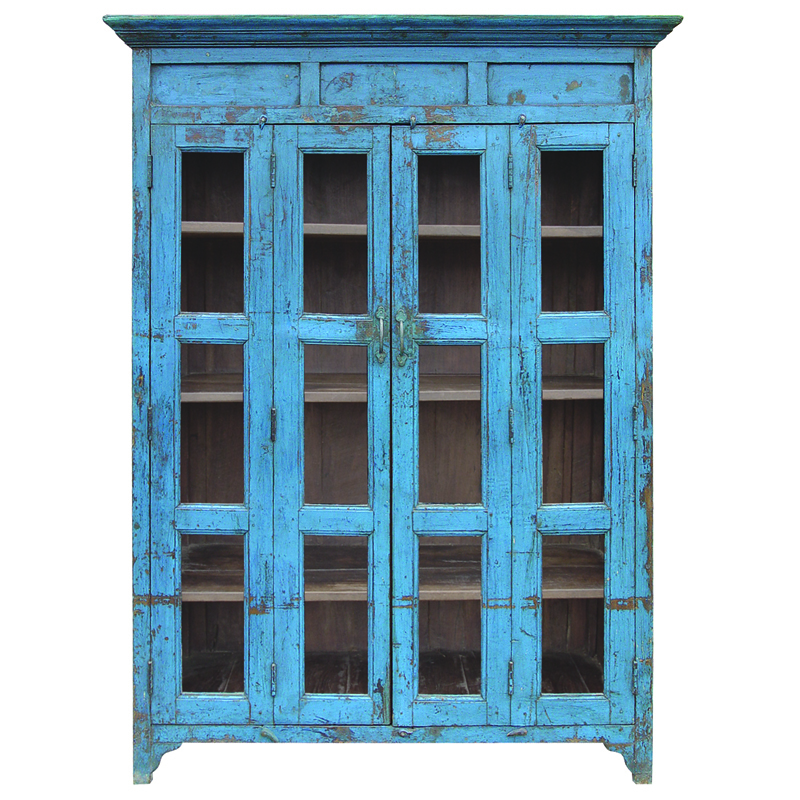 The display cabinet features a beautiful blue hand-painted patina with paneled glass set in bi-folding doors. A magical piece that will create the wow factor in any room.